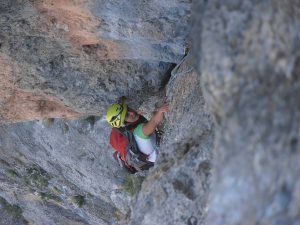 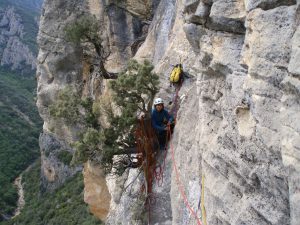 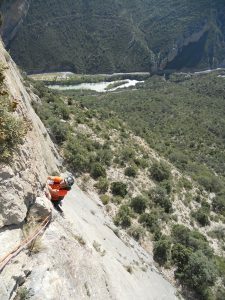 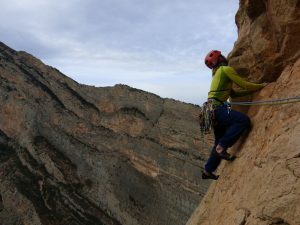 Multi-pitch climbing in the walls of Terradets, a limestone wall of 400m with great rock, located in the Pre-Pyrenees, Catalunya. 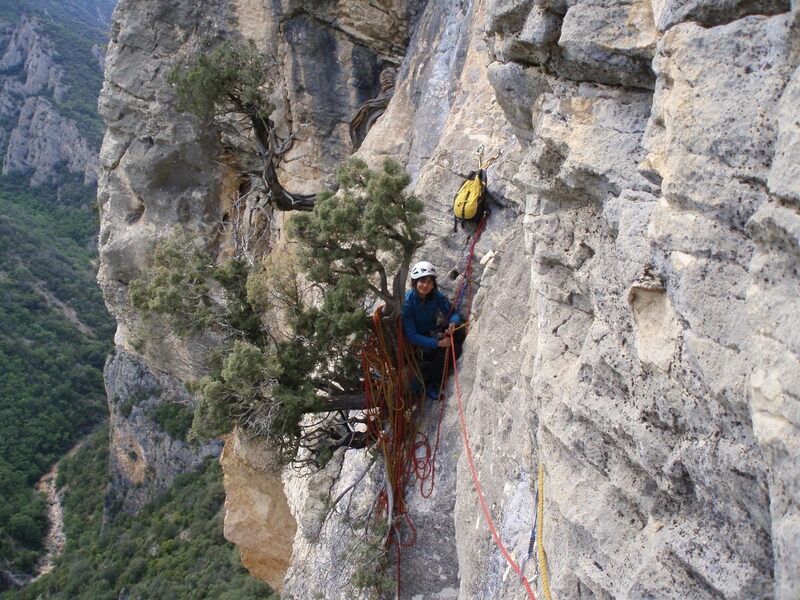 Close to Terradets you will find many other famous limestone walls, like Vilanova de Meià, Roca Regina or Montrebei. 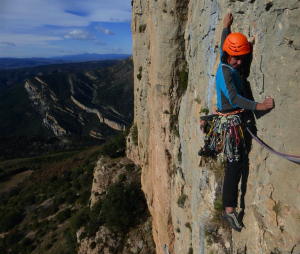 Each wall has a different ambience; there are walls close to the parking lot with very equipped climbing routes like Terradets; and more adventurous walls in a wild environment, like Montrebei.